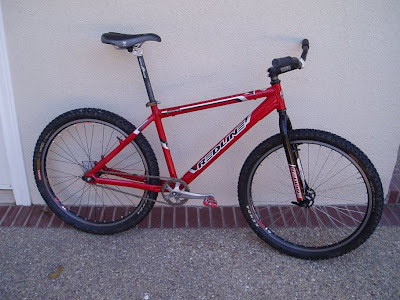 While trolling in the Singlespeed forum on MTBR I came across this sweet fixed gear mountain bike. A Redline 'cog flight fixie (currently with a cf sp & cf cross fork). Another 29er in Fairfield County! Rail Trail riding with Grandpa - the Video!